I’m not one of those “Tea Nazis” who tells everyone else how long to steep their tea, but I’m pretty particular about my own tea. And when I’m serving at the tea bar, I want consistent results. If someone has a cup of sencha today, I want it to be just like the cup of sencha they had last week or last month. We have a little timer at the tea bar, but it’s a pain in the neck. Want to steep something for 3:45? Press the “minute” button three times, the “second” button 45 times (! ), and then the start button. Not at all what I was after. So, in the spirit of “there’s an app for that,” I went searching for an iPhone app when we opened the tea bar last May. 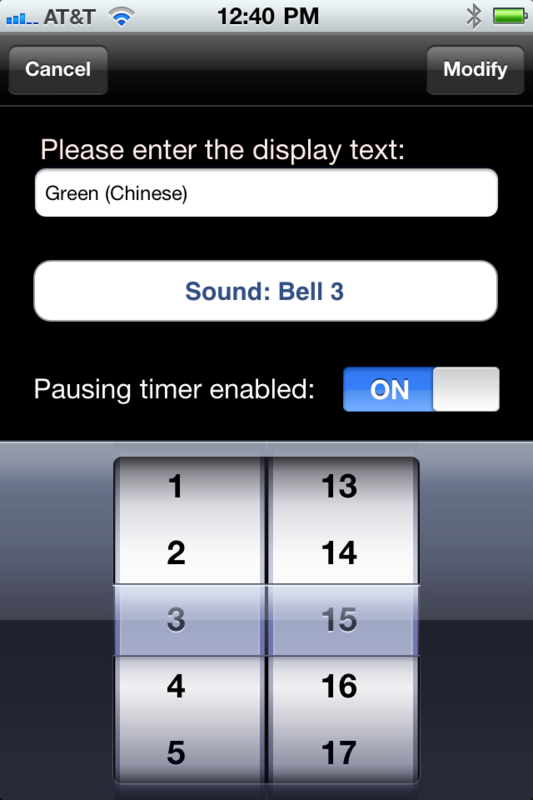 The app I settled on is called, appropriately enough, “Tea Timer” by Martin Schultz (distributed by Decane). I’m using version 1.6. It’s very simple, very customizable, and very straightforward. 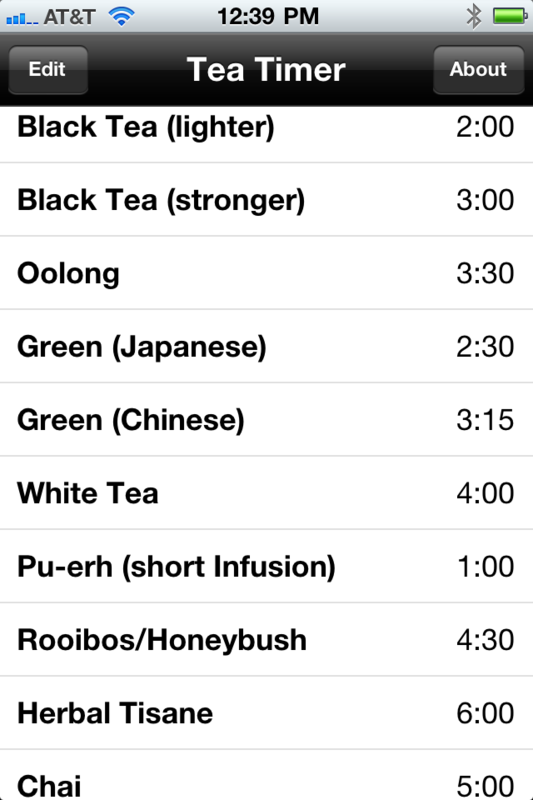 When you first load it, it comes up with a starter list of teas and their steep times. I disagreed with virtually all of them, and just deleted the whole lot and started over. Tapping any tea from the list will start the timer, showing a screen like the main picture at the top of this post. There’s a “restart” button at the top right, a “Tea Timer” button (which really should say “cancel”) at the top left, and you can tap anywhere else on the screen to pause the timer (tapping again restarts it). When the timer hits 00:00, you here a sound indicating that your tea is ready. The “Edit” button in the upper-left corner lets you delete, add, or edit the teas on the list. When you add a new tea, you can select the name (I use general categories rather than specific teas), the steep time you wish to use, and the sound it should make when the tea is ready (I like the fanfare). That tea goes on the end of your list on the main menu. 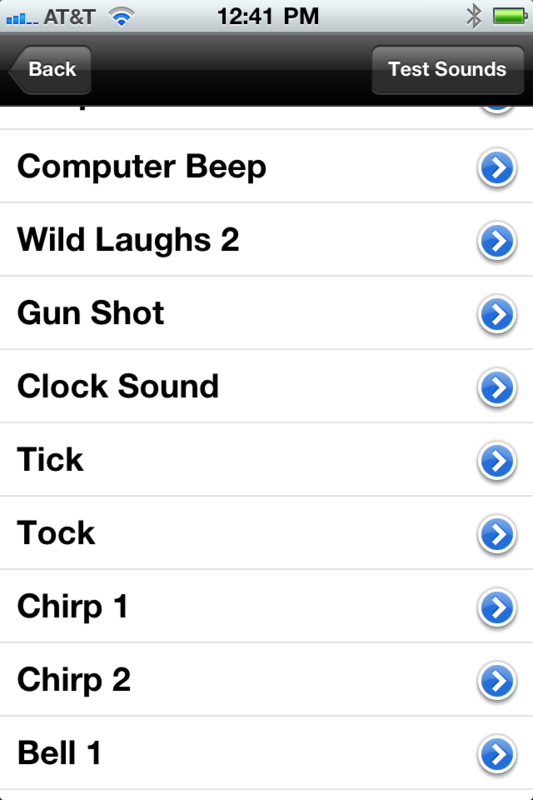 Entering the steep time uses spinner wheels, and you have a great selection of sounds to choose from. There are a few things I’d like to change about this app. Decane must not be overly interested in hearing the ideas, as there isn’t a “feedback” button anywhere on the website or the app itself. I’ll tweet them a link to this review and see if they respond. No way to sort the list of teas — I sure would like to be able to put them in alphabetical order, or sort by general type. Unfortunately, it just leaves them in the order in which you created them. When you start up the app, it immediately starts timing whatever tea style you last used. That may be marvelous for the guy who always drinks the same tea, but I generally don’t do the same thing twice in a row. When I start it, I want to see the list of teas so I can select the one I want. It needs a quick manual override. I use a pretty short steep on my black teas. If someone says, “give me four minutes instead of three,” the only way I can do that is to look for another tea that has a 4-minute steep time and use that, or else start the timer, wait one minute, and press the “restart” button. It’s nice that it prevents the iPhone from going into sleep mode while the timer is running. I like that. But if I finish a cup of tea and forget to shut down the app, it leaves the iPhone awake and the screen bright, draining the battery. From the main menu, it should allow the iPhone to sleep after some period of time. Overall, it’s a good app, and it does exactly what I desire: it gives me precise timing for the various types of tea that I drink. For $1.99, it’s worth overlooking the few annoyances that it has. Posted on 12 October 2011, in Tea Thoughts and tagged app, iPhone, steep time, tea timer, timer. Bookmark the permalink. Leave a comment.